If you believe the models, which change their mind more than my high school girlfriend, things are not looking good in the near term for any precip at all. We have a storm that is coming in from the west. However, just about the time it see's land, it cuts straight south and will have no effect on our weather whatsoever. I am tracking a storm that could show up in about a week to 9 days that I will talk about next. In the meantime, a weak slider could come into the area and leave a dusting or slightly more next Monday or Tuesday. 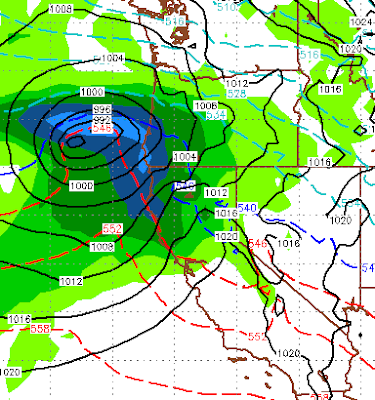 The best chance I see comes into our area around the 5th of December (one week from Thanksgiving). The European Centre for Medium Range Weather Forecasts (I oftentimes refer to it as the "EC") forecasts this for a week from Thursday. 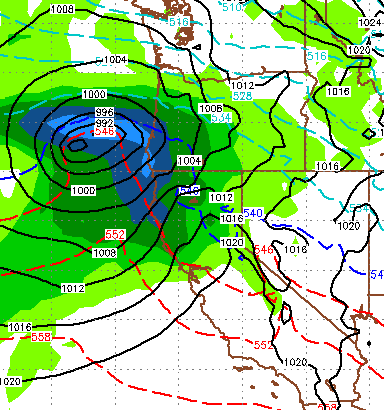 The EC has this storm coming right over us and it could (I want to repeat could) leave a very welcome foot or two of snow behind in the mountains around Lake Tahoe. The link to this site is always on the right margin of this site. I must say they have been pretty harsh on the weather forecasters, myself included. Of course, when the flakes start flying they love us! I even noticed we are so heart up that even they are starting to forecast weather ... I guess I should keep my day job. But seriously, I read the site everyday for humor, excellent writing and yes weather forecaster abuse!